Over 3 billion people currently live in cities, and that number is projected to rise to 5 billion by 2030. The shift presents huge challenges for infrastructure, social development and more. This is why the sustainability of cities and communities should be an important discussion point in classrooms today. Why is teaching sustainability important? Forging sustainable cities and communities play a major role in our world’s future. It’s at the heart of billions of daily lives. It’s wide-reaching, covering a huge variety of subjects – large and small – that touch everything we do. It’s easy to draw direct links between sustainability and student life. Consider the buses that transport students to school or the electricity that powers computers and lights homes. Sustainability is something that affects all of us, every day. Students should be encouraged to explore the structures behind our day-to-day lives to understand their scope and impact. They should be mindful of the challenges that are faced by those responsible for that infrastructure. Those challenges can play a core role in teaching sustainability. They show students that they are able to have a positive effect on their own lives and the lives of others. By educating students about sustainability challenges, they may be inspired to make a difference in the future. Making a difference is at the core of being a global citizen, and is an empowering force of its own. It inspires young people to develop a broad understanding of the world around them. It helps them understand that they have the power to act. It also encourages them to take an active role in communities, both local and international. Communities are at the heart of any city and come in all sizes, backgrounds, and beliefs. Encouraging students to be global citizens will teach empathy for people from different cultures. It’s an ideal grounding for discussions about those communities, many of whom will face different societal challenges and opportunities to those within the student’s own experiences. Protecting the world’s cultural and natural beauty. Ensuring access to adequate and affordable housing for all. Improving air quality and waste management. Supporting positive links between urban, suburban and rural areas. Mitigating and adapting to climate change, and resilience to disasters. As these challenges show, sustainability isn’t just restricted to major urban areas. It also reaches far beyond and out to the rest of the world. How can sustainability inform teaching programs? Our cities and communities are hubs for education, commerce, social development, science and more. They are projected to grow rapidly in the coming decades, and protecting and supporting them as they grow is a clear goal for the future. Urban development and its impact on air quality and the environment. The effect of pollution and urban living on citizens’ health. The management of energy supplies, and sustainable energy systems. How urban planning can provide safe, inclusive public spaces for all. The management and planning of public transport systems. Sustainability has huge relevance to the curriculum. It crosses into science, geography, economics, sociology and more. It touches so much of our past, present, and future lives. 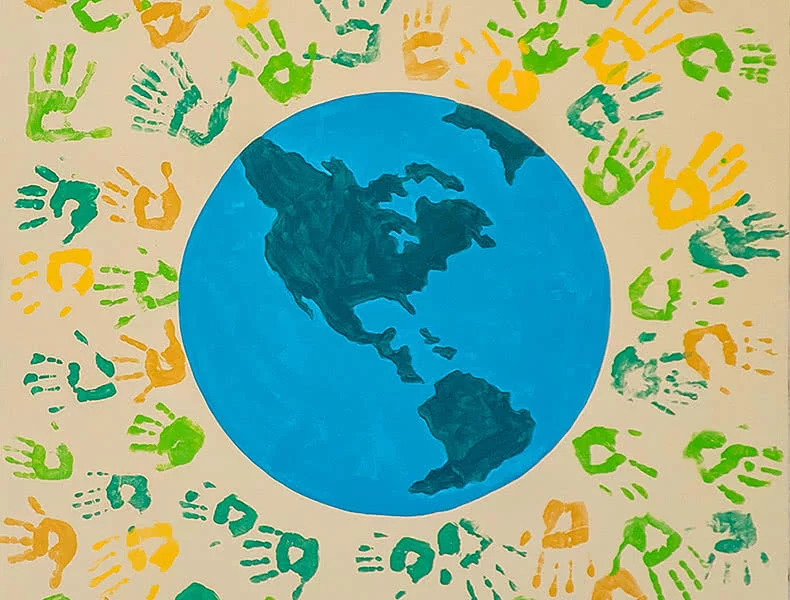 Introducing these sustainability subjects to classrooms can help build global citizens: those who look beyond their own experiences and see how wider-reaching issues can impact the lives of those around them. Why is this Sustainable Development Goal important? The UN’s SDGs play a key role in today’s education. They provide a framework of shared goals that organizations across the globe can work towards to build a better future. It brings together NGOs, governments, and educators and focuses them on that single purpose: improving our planet and the lives of those on it. At Participate Learning, we’ve pulled together the resources needed for teachers to nurture tomorrow’s global citizens. Our powerful global citizenship framework will help students be more curious and aware of sustainability challenges. It will also encourage them to treat different cultures and opinions with respect. All students should be aware of sustainability in cities and communities. Their eyes should be open to their potential to impact sustainability both positively and negatively. Through teaching, and the discussion of this SDG in the classroom, teachers can educate, inspire and empower today’s students to make the world a more sustainable place. Learn more about how the Sustainable Development Goals support global citizenship: Global Citizenship and Education.